Since fight club Friday never appeared on the day it was supposed to i’ve done showdown saturday. The same rules still apply. I pick a throwdown that has stayed in my mind and feel should be getting extra kudos for whatever reason. Age, race, gender do not make any difference. Last and not least my choice of scrap is not limited to any media genre or medium. 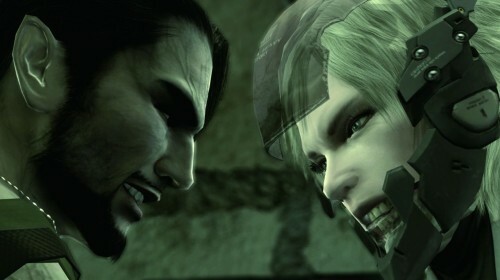 The fight that i have chosen today is Raiden vs. Vamp in Metal Gear Solid 4: Guns of the Patriots. This scene still excites me to this day that every so often i will go onto youtube and watch just to appease my action appetite. 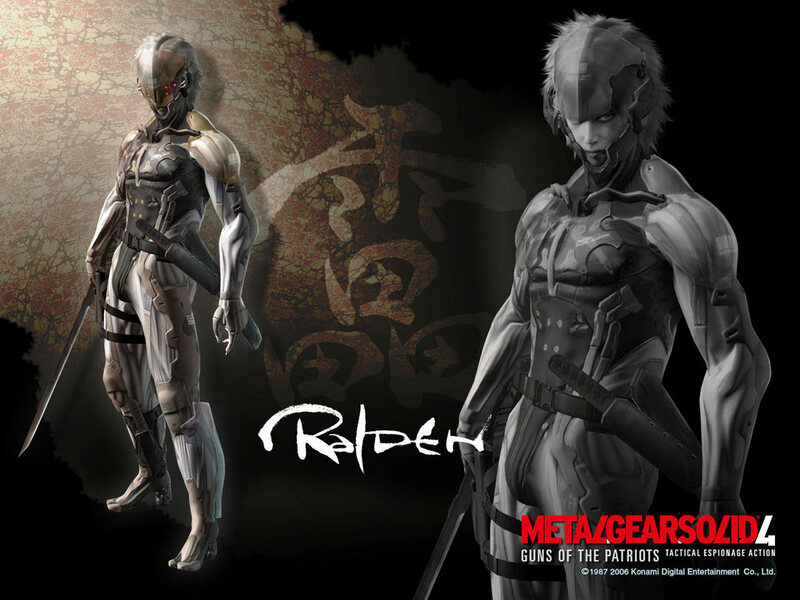 When first introduced to Raiden in the 2001 video game Metal Gear Solid 2: Sons of the Patriots there was a big uproar as to how the main protagonist Solid Snake been sidelined for a character that essentially felt like a standard run of the mill teenager who was ridden with teenage angst and self doubt. Throughout this game and all the way till the end with all bosses defeated you’re still left feeling like a novice who still needs the approval of your superiors this doesn’t help with the whole you done well now go and live your life speech given to you by Solid Snake at the end. Metal Gear Solid 4: Guns of the Patriots is set 4 years later. Things have changed technology and politics wise. Snake is still fighting terrorism but you’re also back in charge of this legendary soldier. The biggest change though is with Snake, due to him being a clone he has a short life expectancy and has aged rapidly. Although in his 40s he has physically aged to a man in his 70s. Miniature metal gear rexs called geckos now patrol in war torn countries. As Snake you only just survive the encounters you have had with geckos and are advised to use stealth and stay clear of them. After being defeated by two geckos you end up being rescued by two friends. With the geckos looking for your downed vehicle and with that impending doom thats when he appears. Raiden. Residing on a rooftop clad in a trench coat. Jumping down and waiting for the first of least 5 geckos to make the first move. He uses his coat to distract one while he cuts the leg off another while this is happening he jumps onto another and uses its own guns to shoot the others. As new geckos enter the fray we have been shown that whatever reservations, bad thoughts and bad words had been said about this character he is not the same person we last saw. Finally overpowered but only by sheer numbers another face from the past decides to show up. Vamp was the villain that caused Raiden his deepest loss in the last game and was also thought dead after being shot by Raiden. Vamp appears happy to see Raiden once again, the fight that commences next proves that what we just saw was an appetizer. The battle that we are privy to see can only be described as dangerous beautiful dance amidst flying blades and a samurai sword gliding through the wind. Somersaulting and flipping around while just missing each other with their weapons they are both incapable of delivering killing strokes. One is a flamenco dancer the other capoeira practitioner both dancing to the rhythm of life but looking for the beat of death. There seems to be no end in sight until Raiden pulls off a dangerous gambit in which while being held in a grasp from behind by vamp he impales his sword through his stomach injuring himself but also vamp. Raiden uses this distraction to escape. They both survive due to other abilities they possess but we know this isn’t the last time these two will meet as they have a score to settle with the grim reaper. 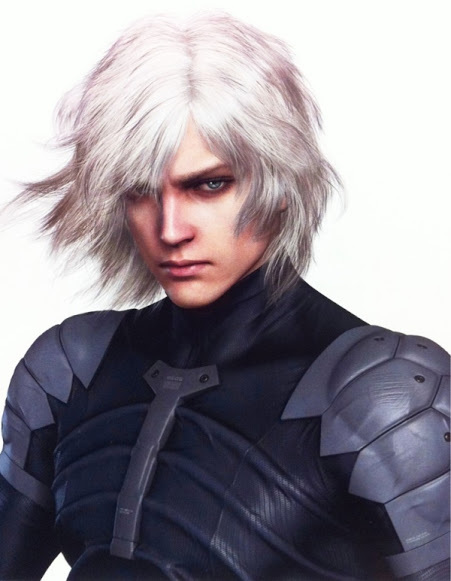 The reason i love this battle is because you have seen how Raiden as a character had evolved, in the west he was generally not received very well as he was considered whiny and too feminine looking. By the time he appears in MGS4 he has had a large portion of his body replaced by cybernetics and a much more cold attitude to life. He has grown up and become a man nothing states this more than when he tells Solid Snake that its his turn to protect him. 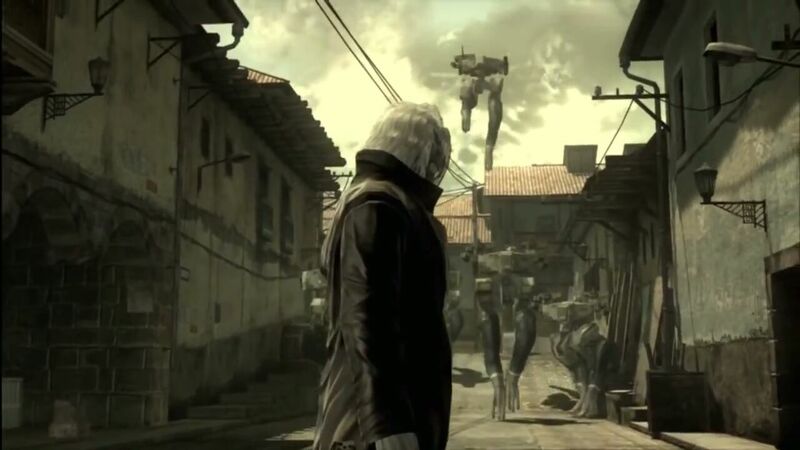 This is Raiden protecting family, Solidus Snake looked after (almost like a father) trained and turned Raiden into a killer from when he was a child (although he would later bury this deep in his subconscious), by the end of MGS2 Raiden would defeat and kill Solidus in combat. Solid Snake is the genetic twin of Solidus and thus the right parent that Raiden has chosen to protect. This is keeping in touch with some of the main themes that creator Hideo Kojima keeps on re iterating through all of his games: no good can come from war, the legacy that you leave behind, family can be more than blood ie. Friends that you make in life, your destiny is not predetermined and last but not least to live your life to the fullest and not waste a single second. Well that concludes the weeks Fight Club Friday/ Showdown Saturday. 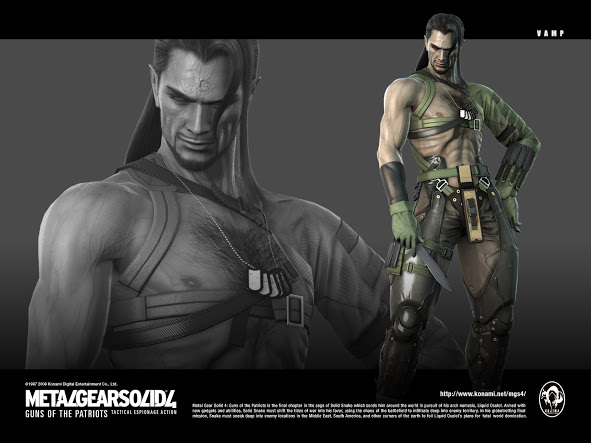 Heres hoping that Hideo Kojima decides to visit this character again as what may have started off as a bad idea he’s managed to prove that fighting is more than just throwing punches and kicks. If you haven’t seen this fight scene that i have been raving about, what are you doing? Go and jump onto youtube right now. Previous Previous post: Throw back back Thursday.